North Fork Fire Protection District, all-volunteer department covering 250 square miles in Jefferson, Douglas & Park Counties including the towns and areas of Baldy Peak, Buffalo Creek, Cheeseman Reservoir, Cliffdale, Colorado Trail, Crassons, Crystal Lake, Dear Creek, Deckers, Lost Valley Ranch, Nighthawk, Oxyoke, Pine Bluff, Pike National Forest, Pine Grove, Pine, Pine Station, Pine Valley Ranch, Rainbow Falls-North, Redskin Mountain, Scraggy View, Skull Rock, South Fork, Stoney Pass & Trumbull, Wellington Lake, Wildcat Creek, Wigwam Creek. North Fork Volunteer Fire Department originally organized in 1977 as a non-profit corporation, and fire protection district in 1991. 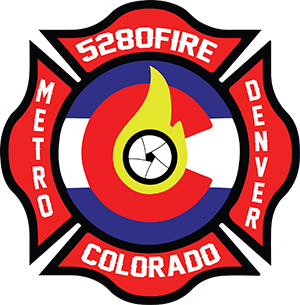 The district took over fire service from the Trumbull Volunteer Fire Department. 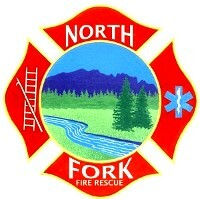 North Fork Fire Protection District is dispatched by Jeffcom 911.